"If there is one thing we like here at the Epicurious offices, it's great tequila. In fact, Nilou Motamed, our EIC, keeps a rather expansive selection of artisanal bottles in her office bar at all times. Needless to say, no arms were twisted in conducting this taste test. Under the watchful eye of NYC tequila guru Jason Silverman, we sipped our way through 21 blanco and reposado tequilas, and we did it all for you. Ever wondered which tequilas are best for making margaritas and which are smooth enough for sipping? Want to know which tequilas taste amazing AND cost less than $30? Whether you fancy yourself a tequila snob, are looking for a killer mixer, or just want to get the best bang for your buck, we've got you covered. 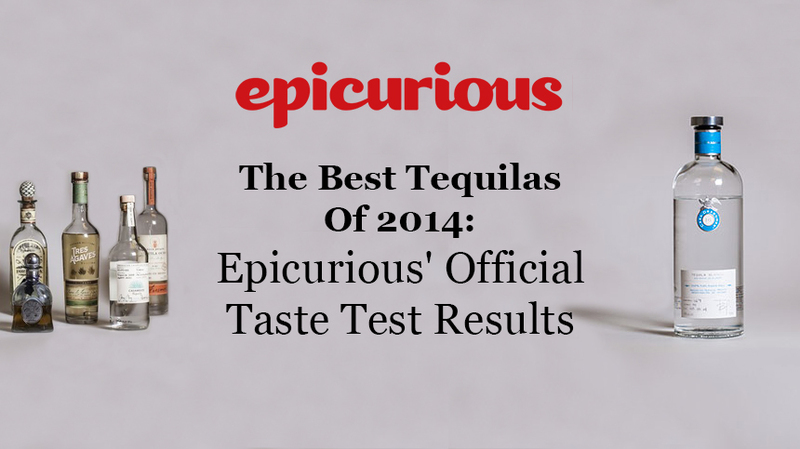 Read on to see which tequilas reigned supreme. Tequila 411: Blanco or silver tequilas are usually unaged and bottled (or stored) immediately after the distillation process. Sometimes they're aged for less than 2 months and kept in stainless steel or oak barrels. Reposado refers to tequilas that have been aged for at least 2 months, but no more than a year, in oak barrels. Method to Our Madness: Our tasters ranked the tequilas on a scale from 1 to 5 in three different categories: aroma, taste and finish. In addition, the tequilas were also judged according to set criteria such as "best for the tequila newbie" or "best for mixology." The Results: Best Blanco Tequila: Casa Dragones Blanco ($75.00) Best Sipping Tequila: Casa Dragones Blanco"
Casa Dragones first came on the market with their premium sipping tequila, Joven, back in 2009. The brand has recently released a second premium spirit, the blanco, made specifically for mixing. The blanco is made of 100% pure blue-agave in small batches of no more than 400 cases. The agave plants are harvested in the Trans-Mexican volcanic belt and distilled with pure spring water resulting in a crystal clear tequila with subtle flavors of tropical fruits, cucumber, and mint. This blanco was an all around favorite, consistently rating 4 or 5 in aroma, taste, and finish. While it may have been created for mixing, the tequila's tropical and vegetal notes make it smooth and clean enough to be enjoyed on its own. One taster thought it had a "fruity wine taste" and another said that it was "muy bien and super sippable!" –Featured on Epicurious, January 11th, 2014.